Synopsis: Light Yagami is good looking, a genius, and pretty well off. But there’s a problem. He’s incredibly boooooored. 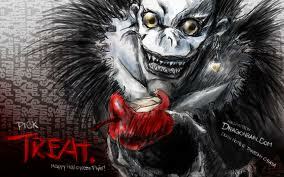 Then he stumbles upon a weird looking notebook called a “Death Note.” A death god named Ryuk explains to him that once someone writes a name in the Death Note, that someone will die. Light’s new powers go to his head, and he starts killing criminals in the hopes of creating a new world with him as the New God. (though in hind sight, he could have done all this by playing The Sims instead). 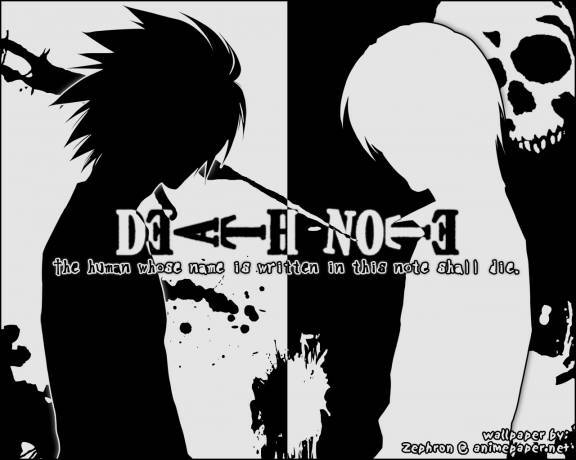 Pros: Death Note’s biggest positive is the cat and mouse game the develops between Light and the detective hired to bring him down, L. Both are geniuses, and both are isolated from the real world in their own way. Light adopts socially revered traits like cleanliness and charm to mask his true self, while L disregards most social conventions (like sitting properly) in order to mislead everyone around him. The anime itself is very suspenseful, as you never really know how Light is going to wiggle his way out of a situation. Cons: This show is pretty serious, which I enjoyed, but anyone looking for a laugh should walk right along. Same goes for anyone looking for fighting action or fan service. This is a true drama whose story could imaginably be set in any other country if tweaked a little.